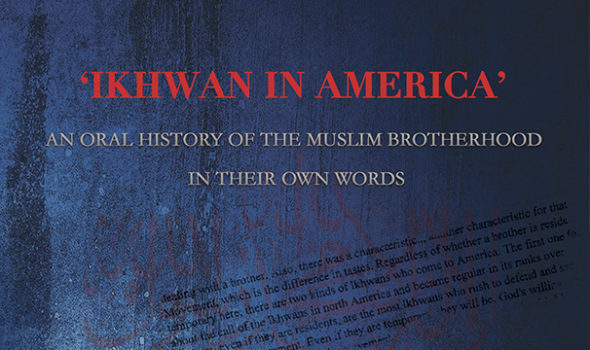 The Center for Security Policy is proud to announce the second release in its Archival Series, Ikhwan in America: An Oral History of the Muslim Brotherhood in their Own Words. Like the first volume in this series, The Explanatory Memorandum: From the Archives of the Muslim Brotherhood in America, this new volume provides context for the needed, far deeper understanding of the true nature of the Muslim Brotherhood (known as the Ikhwan in Arabic). It does so by making accessible an original source document – along with an evaluation of its ideological, historical and organizational significance to equip our countrymen and women, and their elected representatives, to make informed decisions about one of the most serious threats facing our country: the Islamic supremacist enemies within. “Ikhwan in America” was the title given an early 1980s lecture about the Muslim Brotherhood by a man who was at the time one of the organization’s most prominent leaders: the chief masul (“guide”) of its executive office, Zaid Naman (a.k.a. Zeid Noman). The audience were participants in a U.S. Muslim Brotherhood camp in Missouri. The audio of the lecture was found, translated and transcribed by the FBI. It was discovered in 2004 during a search of the home of another U.S. Muslim Brotherhood leader, Ismail Elbarasse. At the time it was raided, Elbarasse’s property held what amounted to the archives of the Brotherhood in North America.. Many of those documents, including The Explanatory Memorandum, only became available to the public when they were entered into evidence in support of the government’s 2007-2008 case against the Holy Land Foundation (HLF). The HLF was a Muslim Brotherhood front that masqueraded as a charitable organization. In fact, it engaged in, an d was convicted of, material support for a designated terrorist organization, Hamas. Among the many pieces of evidence made available by the government in the Holy Land trial, Naman’s lecture carries special significance since it represents a first-hand account, in the words of one of the Brotherhood’s top leaders, of the Ikhwan’s history and stealthy “civilization jihad” in this country. Naman covers both the organization’s highs and lows here, from the early successes in establishing the Muslim Students Association and Islamic centers throughout the country, to struggles and infighting that finally led to the forging of a more united U.S. Muslim Brotherhood with its counterparts from many other countries. The production of this transcription of Zaid Naman’s authoritative account of the Muslim Brotherhood in our country is especially timely. After all, it coincides with the consideration by the U.S. Congress of legislation calling for the Brotherhood’s designation as a terrorist organization for its role in fomenting jihadist violence. Naman’s lecture explicitly discusses the Brotherhood’s equipping its members to engage in so called “Special Work,” meaning armed violence, and training its members in the use of firearms for that purpose – statements directly at odds with the Brotherhood professed commitment to nonviolence. It should be required reading for every legislator and other official with the sworn duty to protect our nation and its Constitution against all enemies, foreign and domestic.